He was revered by folks like Larry Jennings, Ricky Jay and Johnny Thompson. Dai Vernon said he was one of the greatest card men to ever live. He was friends with Paul Fox, Cardini, Faucet Ross, Max Malini and other greats of yesterday. He was a link between two different time periods of magic. He was born during a time of the great Vaudeville acts and yet he lived to see the rise of close-up magic. His name was Charlie Miller and this is a brief look into his life. He was born in Indianapolis Indiana on May 25th, 1909. He was well educated and could speak several languages and also had an incredible ability to mimic any dialect he heard. 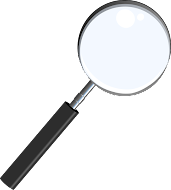 It is believed that Charlie had a photographic memory. He apparently was exposed to magic through his older brother who then taught him a couple tricks, but after that he was off on his own. At the young age of 20 Charlie Miller was thought to be one of the best sleight of hand artists in the country. He could present any sleight called for from the Erdnase book Expert At The Card Table. Charlie is regarded as one of the true great card men, and of course as I just mentioned above, Dai Vernon also agreed with that assessment. A lesser known fact was that Miller was just as adept with apparatus magic. He was truly a well rounded performer. In today's world so many of the sleight of hand performers shun any sort of apparatus. This is unfortunate and Charlie Miller shows that the bias against prop magic didn't always exist. I'm not going to go into a big rant over that topic, but I do want to point out the fact that Charlie could perform apparatus magic just as easily as his sleight of hand material. In the 1930's Dai Vernon and Charlie Miller heard about a man from the midwest who could deal cards from the center of a deck. They dropped everything and headed to Wichita Kansas on the hunt for a man named Allan Kennedy. The story is related by Ricky Jay in his new documentary 'Ricky Jay-Deceptive Practice' and also in the book The Magician and the Cardsharp by Karl Johnson. Charlie Miller was affectionately known as the guest who wouldn't leave and in the 1950s lived with Harry Riser and his family. When Charlie moved to Chicago he stayed in a room at Magic Inc. that became known as The Charlie Miller Suite. And later in the 1960's Charlies moved out to California to be near the Magic Castle and became a resident/guest of Johnny Thompson. Both Johnny and Harry Riser were students of Charlie's and speak of him in the highest regard. In 1964 he became the writer and editor to a special series in GENII magazine called 'Magicana'. There was and is some incredible magic and history in those pages. 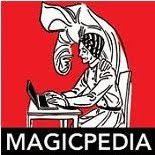 If you have access to Ask Alexander.com I would encourage you to spend some time with Charlie Miller's Magicana. In the 1970's Charlie Miller started performing magic on Cruise Ships. I don't know what material he did but given his vast knowledge and abilities I imagine he did a stage act and probably close-up act as well. 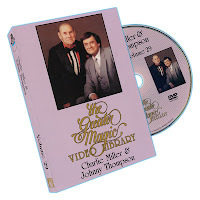 In the mid 1980s, The Greater Magic Video Library, first produced by Steven's Magic I believe, filmed Charlie performing a number of effects. Volumes 17,18 and 29 all have Charlie Miller on them, but 29 also includes Johnny Thompson. I must say that I think Charlie was past his prime when these videos were shot. His hands shake a lot and his handling of cards is not up to the legendary status that we've come to believe. However, despite this fact, I think these videos are important to watch. For the true student of magic and for magic historians there are tons of subtleties and trivia mixed within the various routines he presents. For example, on Volume 17 he opens with a demonstration of the Misers Dreams. There is no explanation included and it's a pretty routine with a couple interesting old jokes included. What is really fascinating is Charlie's production of the coin. He is actually doing the Allan Shaw Coin Production. But he doesn't teach it (more on this later). There are two other performance only routines on Volume 17, The Rice Bowls with the Al Baker Bowls and The Chinese Sticks. Then he presents 5 routines which are demonstrated and taught. Volume 18 begins with three performance only routines: The Paper Mystery, Mutilated Parasol and Malini Egg Bag and then he presents and teaches 5 other routines. The real gem of the bunch though is Volume 29, which has Charlie Miller and Johnny Thompson. The presentation is far more conversational and it's more of a look inside a magic session rather than your typical teaching tape. Volume 29 has a segment on the Cups and Balls with some really interesting moves. The Egg Bag with Charlie presenting his version and Johnny doing his version. Part 3 covers cards and again you get two masters sharing thoughts and ideas on various routines. Don't judge Charlie Miller on his skill level on these videos because he was much older. Instead, enjoy the knowledge and insight he shares on the various magic pieces. I want to go back for a moment and talk about his Misers Dream routine. Charlie Miller is not easy to find in print, but he is there. For example, in Bobo's Modern Coin Magic Book you'll find a number of pieces by Charlie. And on video try Levent's DVD The Ultimate Guide to The Misers Dream (3 DVD Set). On DVD#2 there is a whole section on Charlie Miller and his routine and some extra bits and ideas. You can also learn the Allan Shaw coin production on DVD#1 of Levent's series on the Misers Dream. And if you really want to explore more on Charlie's coin work, check out John Carney's DVD The Video of SECRETS Volume 1. John demonstrates the Misers Dream and shares a technique for producing a coin taught to him by Charlie Miller. 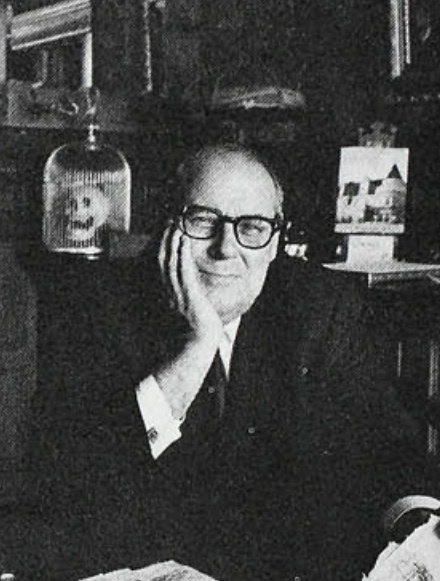 In regards to his card work, Jean Hugard's book Expert Card Technique has several items credited to Charlie Miller and a number of things that were Charlie's that are not credited to him. There are also some smaller books/pamplets with Charlie's material which include: "An Evening With Charlie Miller, "Black Art Well Tricks", "Charlie Miller on the Card Index", "The Charlie Miller Lecture Notes", "Charlie Miller's Diminishing Cards", and "Charlie Miller on the Malini Egg Bag" all published by Magic Inc..
Charles Earl Miller passed away on August 13th, 1989. He was one of the true greats of the 20th Century. Below is some footage of Charlie doing card magic. He is much younger here than he was in the Greater Magic Video Library videos and his skill and dexterity are apparent.